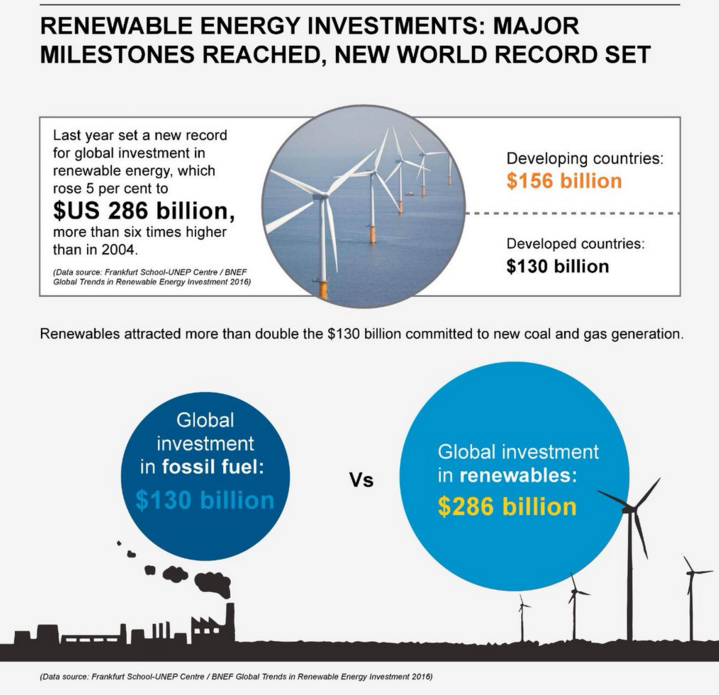 Scooper - Technology News: Which countries are leading the charge to renewables? Which countries are leading the charge to renewables? China helped push global green energy investment plans to record heights in 2015, offsetting a sharp fall in Germany, authors of a U.N.-backed report have said, predicting further growth. "The term 'niche product' no longer applies to renewables," said Ulf Moslener, professor for sustainable energy finance at the school and one of the report's authors. "Investments are becoming less expensive, due to falling equipment costs, which will also enable further growth, especially in light of the new momentum from the Paris climate summit goals," he told reporters. Firmly committed renewable investment plans totalled $286 billion last year, up 5 percent from $273 billion in 2014, according to the study, which is prepared annually by the Frankfurt School-United Nations Environment Programme (UNEP) Collaborating Centre and Bloomberg New Energy Finance. China expects its greenhouse gas emissions to peak by "around 2030" as part of its commitments to a global pact to combat global warming. Spending plans in Germany, a leader in renewable projects, technology and research, fell by 46 percent to $8.5 billion in their steepest fall in 12 years, report said. Factors behind that fall include lower costs, limits to available land, and regulatory changes aimed at forcing renewables into market-based remuneration and away from fixed tariffs, it said.